The General Election is fast approaching, with only a couple of weeks left to go. On Thursday 8th June 2017 everyone aged 18 and over has the chance to play a key role in our democracy and vote for our next Government. 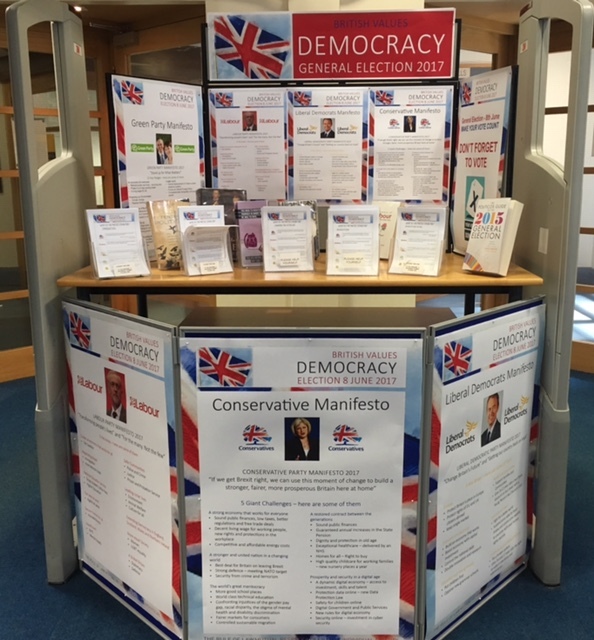 If you are struggling to understand what all the parties stand for and make an informed choice of who to vote for, make sure to pop into the LRC and check out our display. 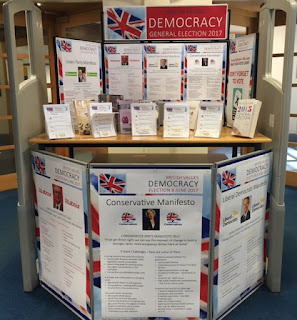 Here you will find information about each of the main party's manifestos along with key information about elections and democracy. Don't Forget to Return Your Books! !